The PSR+ take fast, accurate, high resolution scans in the field. Rugged and reliable with no moving optical parts, it is ideal for snow and ice projects. The PSR+ features auto-shutter, auto-exposure and auto-dark correction for easy one-touch operation. 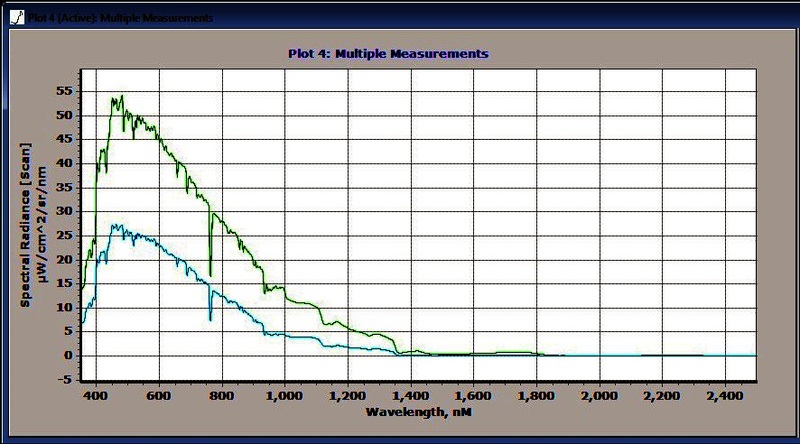 The sample scans on the right were taken with a PSR+ with a 4 degree lens. A reference scan was taken using a reference panel mounted on a tripod in the field. 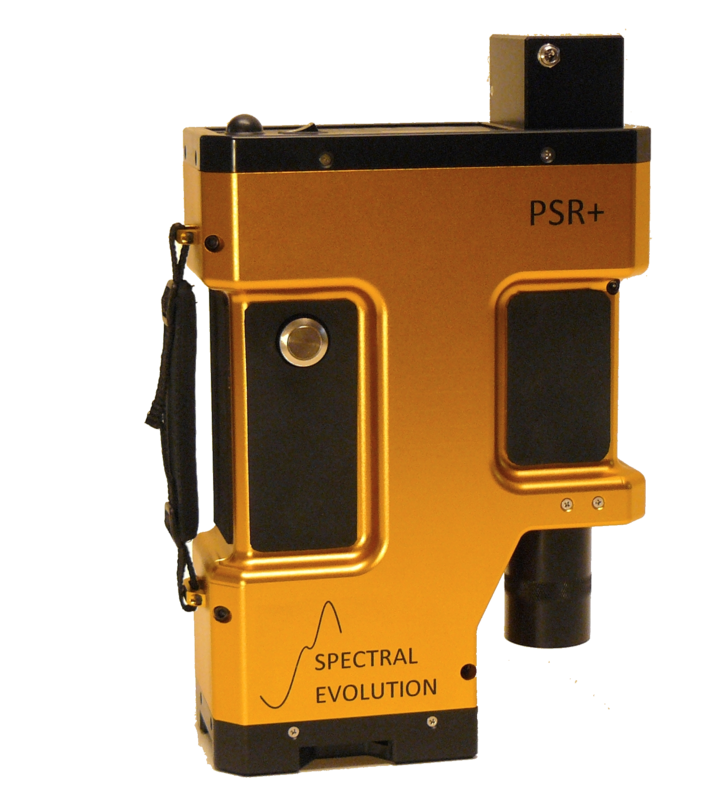 In addition to the PSR+ Spectral Evolution offers several other field spectroradiometers for snow and ice research including the RS-5400 for higher resolution scans and the RS-3500 available in a remote sensing bundle. 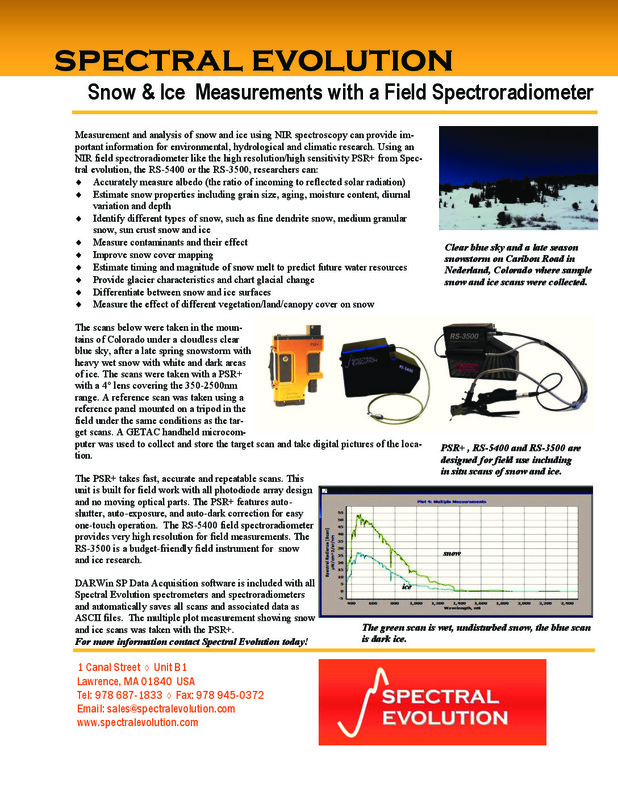 DARWin SP Data Acquisition software is included with all Spectral Evolution spectrometers and spectroradiometers. The multi-plot measurement above in DARWin shows a scan of snow and one of ice taken in the Colorado Rockies after an early spring snowfall under a completely cloudless blue sky. The green plot is snow; the blue is ice.